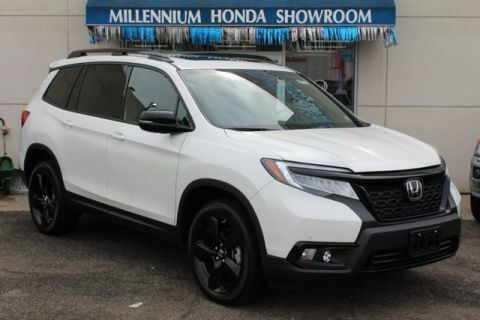 * Lease a 2019 Honda Passport Sport for $229 per month for 39 months. $2,595 down payment. Offer expires 4/30/2019. The 2019 Honda Passport is an all-new, rugged mid-size SUV. Built for adventures, the Passport is a must-see for drivers seeking an accommodating and thrilling vehicle. 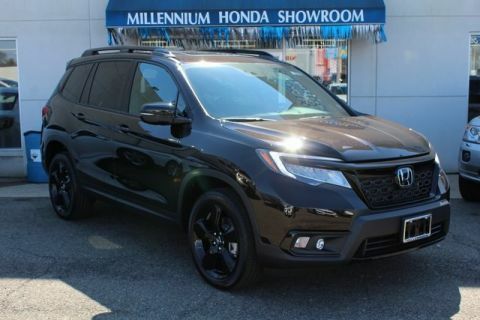 Enjoy the capabilities, style, and convenience of this mid-size SUV. 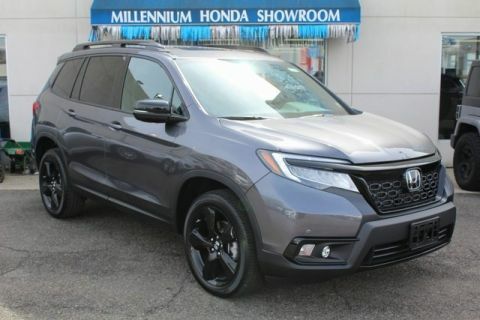 The 2019 Honda Passport has a lot to offer. For example, the SUV is available with a V6 engine, which earns 280 horsepower. This engine is paired with a nine speed automatic transmission with paddle shifters for the most athletic and responsive performance possible. The 2019 Passport is also available with i-VTM4 torque-vectoring all wheel drive. Grip the surface below, no matter the road (or off-road) conditions. Available Intelligent Traction Management System with Snow, Mud, and Sand modes help Honda drivers feel confident and in control when driving on a variety of surfaces. 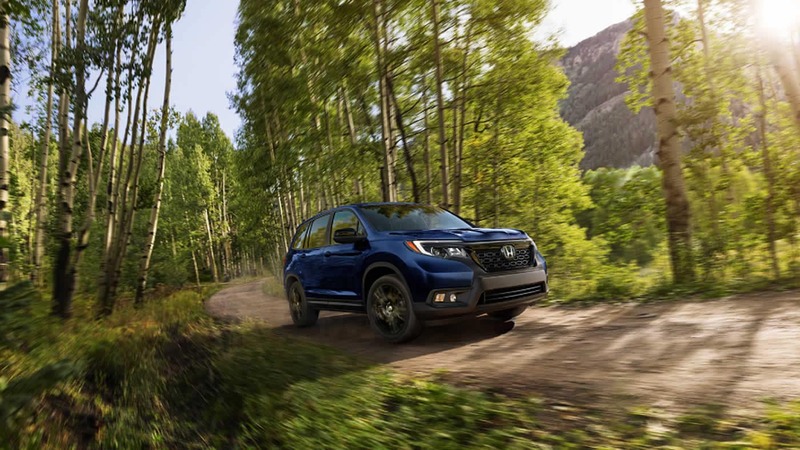 The 2019 Honda Passport comes standard with Honda’s suite of driver-assist technologies. Honda Sensing offers peace of mind and an extra set of eyes, helping to improve safety for drivers and riders. Included in Honda Sensing is adaptive cruise control, lane keeping assist system, road departure mitigation system, and collision mitigation braking system. The 2019 Honda Passport seats up to five passengers, while also offering generous storage space. Underfloor storage compartments make room for necessities, while the rear cabin space is large enough for carrying groceries, luggage, and so on. To increase storage space and open up the cabin, the second-row rear seats are one-touch fold down 60/40 split rear seats, which make re-arrangements as easy as possible. 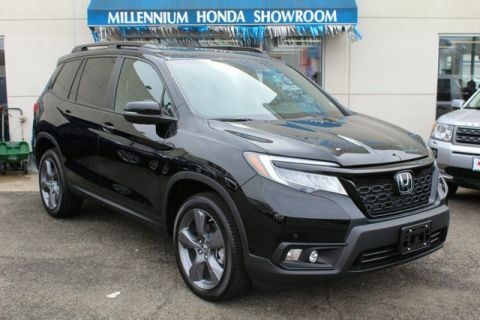 Drive off the lot in your very own 2019 Honda Passport by visiting Millennium Honda. You can also reach out for updates on the 2019 Passport. We hope to hear from you soon and can’t wait to share this mid-size SUV with you.